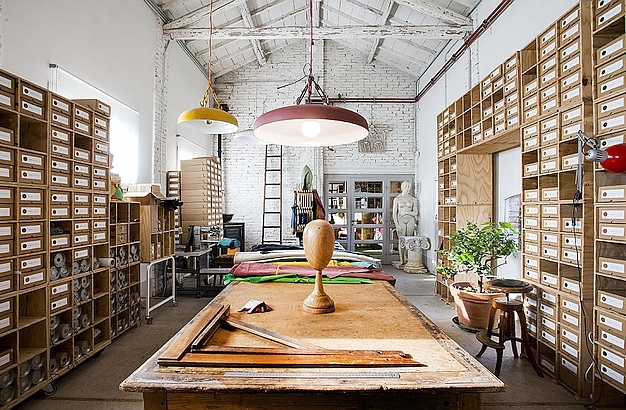 The Officine904 workshop and showroom near the town of Arezzo. Silvia is showing me the turquoise AVB bag which I set my heart on. 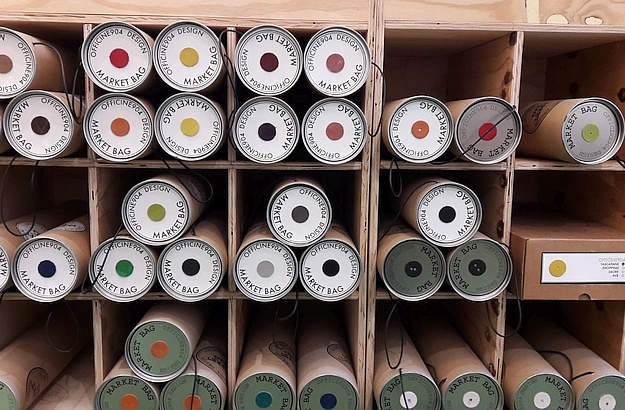 Lizard green, fire red, imperial yellow… 19 great colours to choose from! The bags are all sold in an astutely designed packaging. 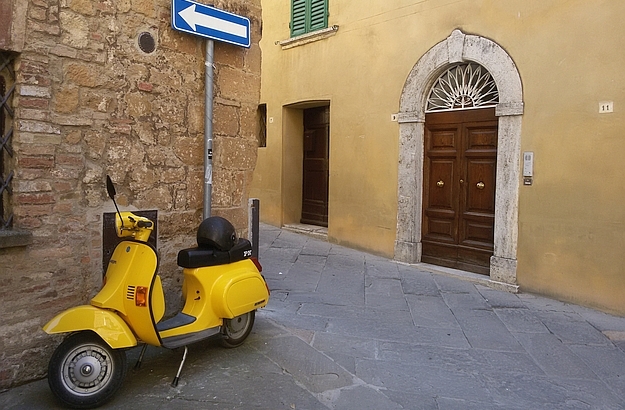 The lovely Pienza backstreet where the first Officine904 was opened. My love for the bel paese has always been closely related to my passion for fine leather bags. And when I say “fine leather bags”, I don’t necessarily mean Gucci or Prada – even though I would not turn the precious item down if you offered me one. Since I first set foot in Italy, I have always revelled in discovering and supporting lesser-known artisan leather brands. One of these brands is Officine904, based in both Venice and the little Tuscan town of Pienza. It was created in 2010 by Silvia Pavanello and Paolo Porcu Rodriguez, a duo well-versed in fashion and influenced by the streamlined architecture of Mies van der Rohe. 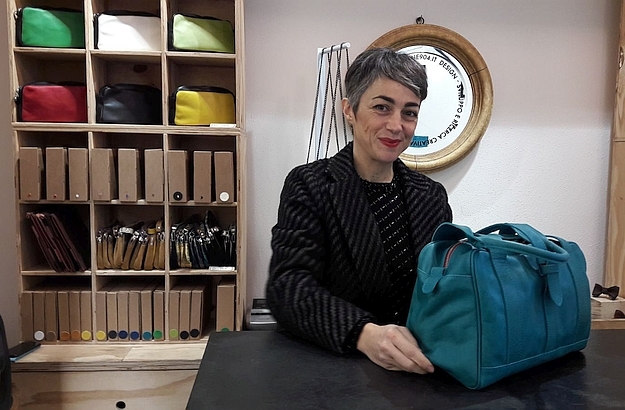 With an eye for contemporary lines and colours, and the knack of finding the best leather skins, they first started designing bags from their beautiful workshop and showroom in Arezzo. But appropriate distribution soon proved problematic for their small, little-known company. Silvia’s sister-in-law more or less “saved the day” when she told the young entrepreneurs about an empty garage which was gaping onto a lovely backstreet, right behind her Pienza apartment. The Officine904 founders didn’t think twice and set up their first store there. Then a second outlet followed at a perfect location in Venice – Silvia is originally from the Veneto, – and a third one was finally opened on the corso (the main thoroughfare) in Pienza. 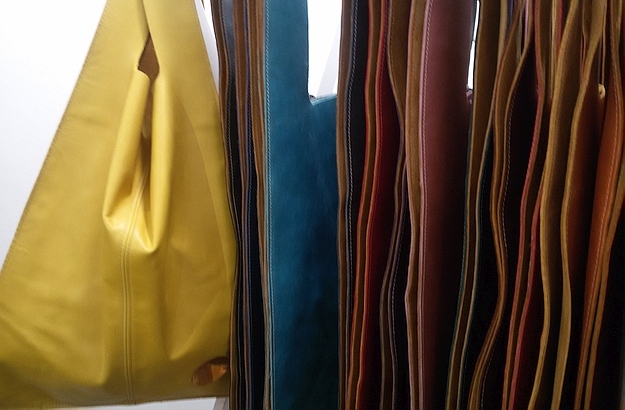 I had lighted upon Silvia and Paolo’s label through a friend who uses, in its bright yellow version, their sleek contemporary MARKET bag, which is available in 19 different colours and makes for an ideal artisan-made souvenir from Italy. I, for one, went for a turquoise AVB bag which, in my humble view, will never go out of fashion. Officine904 has a beautifully designed online store, where you can freely browse and treat yourself to one of the bags displayed. But you’ll probably agree with me that nothing beats choosing the right article right on location, that is in the very heart of Pienza or Venice!